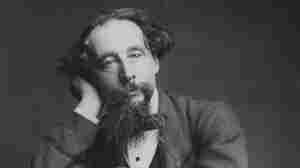 February 7, 2012  For nearly two centuries, Charles Dickens' colorful characters and memorable expressions have worked their way into the vernacular. The prolific 19th-century English novelist left behind 989 named characters and two dozen novels full of the pathos and comedy of London's rich and poor. January 6, 2012  The Labor Department comes out with its latest unemployment report Friday morning. Analysts expect 15,000 jobs were created. But they also forecast that December's jobless rate will edge higher from 8.6 percent to 8.7 percent. A separate survey on private sector hiring showed strong gains in December. January 3, 2012  College football bowl games began last month but the big games are being played in the new year. There were six games played Monday including the Rose Bowl and the Fiesta Bowl. Michigan and Virginia Tech meet Tuesday night in the Sugar Bowl. January 2, 2012  Millions of people are searching for things every day on Google. The people at the giant search engine company realized that if they tracked those searches, the patterns can tell us about what's happening with people's lives. December 30, 2011  The State Department is calling on Egyptian authorities to stop the harassment of non-governmental organizations. Egyptian security forces earlier raided the offices of 17 NGOs. The military claims some of them were operating without permits. December 26, 2011  Perhaps more than any other major professional sports league in this country, the National Basketball Association is star-driven. A Christmas slate of season-opening games featured the electric play of the league's Most Valuable Player Derrick Rose, the NBA's top scorer Kevin Durant and LeBron James, too. What's Behind House GOP's Payroll Tax Reversal? December 23, 2011  Three days of intense pressure persuaded House Republicans to give in and approve a short-term extension of the payroll tax cut and unemployment compensation benefits. Linda Wertheimer talks to NPR's Tamara Keith about the reversal by GOP leaders in the House. December 23, 2011  Men's professional basketball was on a long break because of the lockout. But on Christmas Day, the NBA season begins with a five-game package featuring exciting teams and glittering superstars. There's a rematch between defending champion Dallas and everyone's favorite team to hate — the Miam Heat. December 22, 2011  The fight between Syria's government and anti-government forces continues. Activists and groups that monitor the country say recently hundreds of people have been killed in the villages and towns near the Turkish border as the Syrian government mounts an offensive on anti-government forces. December 21, 2011  Thousands of women marched in the streets of Cairo Tuesday rallying against their treatment by Egyptian security forces. The march came on the heels of video images of soldiers beating and stripping female demonstrators during recent protests in Tahrir Square. December 19, 2011  Millions of Americans, who have benefited from a holiday in paying Social Security payroll taxes, cannot count on that being extended beyond the first of the year. House Speaker John Boehner said Sunday that the bipartisan deal worked out by the Senate to keep the tax cut going for another couple of months would not pass muster with House Republicans. December 9, 2011  After meeting Friday in Brussels until the early morning hours, most European leaders agreed to a plan to move ahead with more budget discipline. Are world financial markets likely to see the talks as a failure or as progress? December 6, 2011  Three separate explosions Tuesday in Afghanistan have killed dozens of people. The bomb blasts took place in Kabul, the southern city of Kandahar and the northern city of Mazar-e-Sharif.